The international break gives clubs in both the Premier League and the Championship a much-needed chance to recharge their respective batteries before the final six weeks of the 2018/19 season. Both divisions have the rare feat of a competitive title picture, with Liverpool 2/1 underdogs to end their long wait to be crowned champions, and Manchester City 2/5 favourties to win back-to-back titles and 4/1 with 32Red to win the Quadruple. I cannot remember a year when a side have been so favourably drawn in all three cup competitions, with Pep Guardiola’s side avoiding European heavyweights in the quarter-finals of the Champions League, and likewise in the FA Cup. City face Brighton in next month’s cup semi-final at Wembley, having got past Rotherham, Burnley, Swansea and Newport. Likewise, they eased past the trio of Shaktar, Hoffenheim and Lyon in the Group F, before breezing past Shalke in the first round of the knockout stages. Despite being drawn against Spurs in an all-English tie, 32Red make City the 2/1 favourites to conquer Europe and 2/9 to beat Mauricio Pochettino’s side over two legs. The Championship remains wide open with as many as a dozen sides still in the promotion picture with just eight games remaining. Wobbles for 32Red-sponsored sides Derby and Middlesbrough, have left the door open for other, 32Red-sponsored sides, with Preston and Aston Villa moving into the promotion picture after impressive wins at the weekend. Championship promotion prices from 32Red: Norwich 1/10; Sheffield United 1/3; Leeds United 1/2; West Bromwich 9/4; Boro 11/2; Aston Villa 11/2 (From 7/1); Derby 11/1; Bristol City 14/1; Preston 16/1 (From 20/1); 20/1 Bar. I was fortunate to have the pleasure of seeing Aston Villa beat Boro 3-0 at Villa Park last weekend, with the trio of Glen Whelan, Jack Grealish and John McGinn putting in arguably the best combined midfield performance I’ve seen in English football’s second-tier all season. That win saw Villa’s odds shorten to return to the top-flight, with 32Red cutting Dean Smith’s side to 11/10 from 6/4 to claim a top-six finish and 11/2 from 7s to gain promotion to the Premier League. Two wins from their last three has seen Villa move into sixth place. 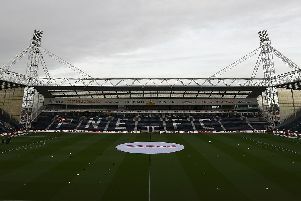 However the division’s form side remains Preston North End, who extended their unbeaten run to 12 league games with a 1-0 defeat of Birmingham City at Deepdale last weekend. If any other team had crept up to within a point of a play-off spot, and unbeaten in 12, they would be a much shorter price than 16/1 and I remain adamant Alex Neil’s side remain terrific value to nick a top-six spot this term. 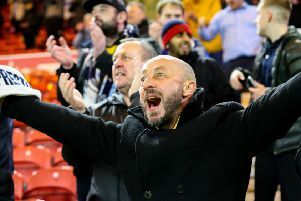 The Lilywhites will have a massive say in the promotion picture themselves, even if they aren’t involved come May, when hosting both Sheffield United and Leeds next month. The latter met last weekend in a gritty, cagey Yorkshire derby at Elland Road, with the Blades nicking it thanks to Chris Basham’s winner just 15 minutes from time. Those three points saw Chris Wilder’s side leapfrog Leeds into second place, and cut to 1/3 from 4/6 with 32Red to be playing Premier League football next season. Norwich should go up as champions – odds-on with 32Red – however, they travel to Boro next weekend in a massive game to both season’s respective campaigns; Middlesbrough 19/10 underdogs on home soil; the Canaries 8/5 favourites with 32Red and the draw 23/10. For all the latest odds head to www.32Red.com.